Welcome to the Hellraid Cheats and Codes page where our team of contributors will help you with a set of cheats, codes, hints, hacks, tips and unlockables. If you are stuck on something specific and are unable to find any answers on our Hellraid Cheats page then be sure to ask the Hellraid Forum / Community for help and advice in the discussion box below and they will get back to you as soon as possible with an answer! Finally, if you have been playing Hellraid and wish to help other users, feel free to sign up and start contributing! 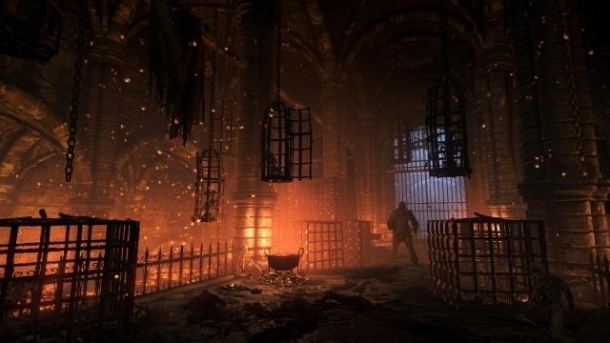 Hellraid is a first-person cooperative slasher being developed and due to be published by Techland for Microsoft Windows, PlayStation 4, and Xbox One. A unique mix of melee, magic and ranged combat, Hellraid can be played both in single-player and 2-4 player co-op. You join a group of fierce combatants trying to stop the demonic invasion and close the gates of Hell in the thrilling Story Mode. Master the levels, collect points, and climb up leaderboards in the highly replayable and challenging Mission Mode, or fight for your survival against hordes of enemies in the nightmarishly hard Arena Mode.